Episode 093: How can I target moderate-to-high income clients? 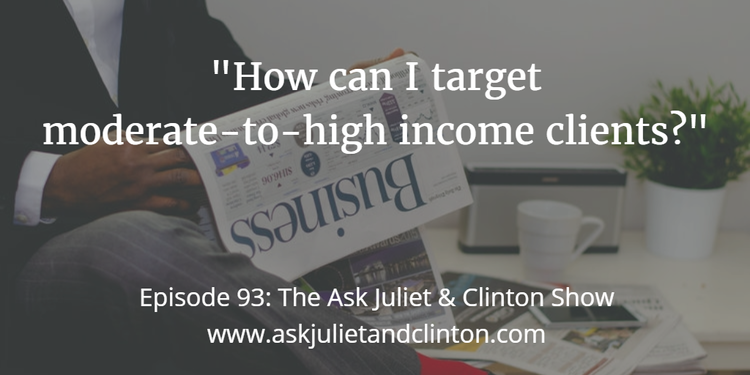 In this episode, Juliet and Clinton answer the following questions 1) How can I target moderate-to-high income clients? 2) What CRM software do you recommend to track prospective clients? and 3) How can I get better results from networking? Episode 091: Which methods have been proven to get results when marketing a new practice? 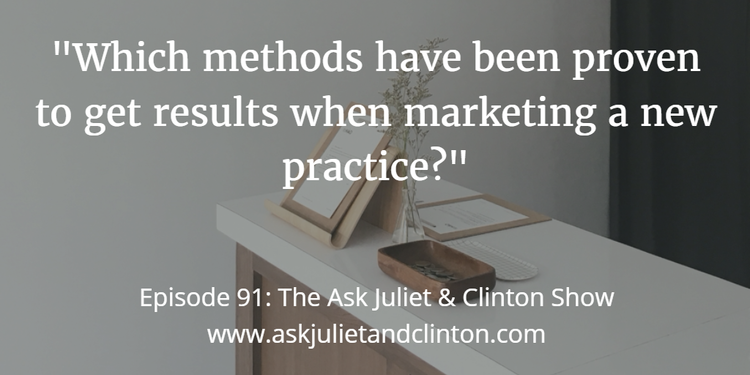 In this episode, Juliet and Clinton answer the following questions 1) which methods have been proven to get results when marketing a new practice? 2) is it viable to build an online counseling practice with no previous client base? and 3) what should I put in a marketing folder to leave with businesses? Episode 090: How do I know if I should be using Pinterest for my business? 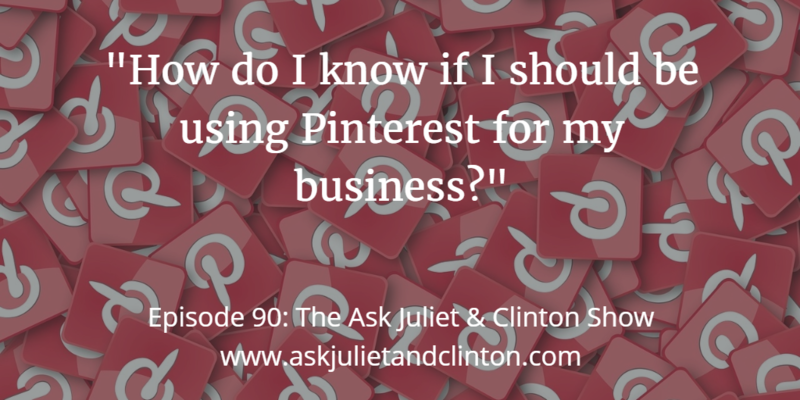 In episode 90, Juliet and Clinton’s guest, therapist Pam Dyson shares how she uses Pinterest. She answered the following questions: 1) Should I use Pinterest for my business? 2) What is proper Pinterest etiquette? And,3) What are your best practices for getting followers, reach and shares? Episode 088: What should I have at my stall for an expo? 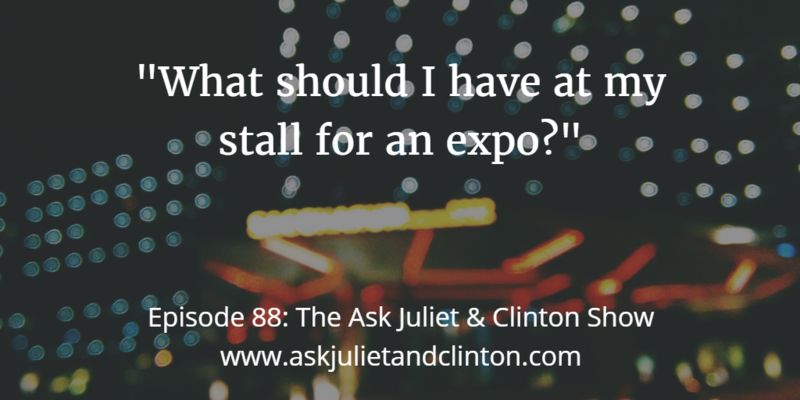 In episode 88 Juliet and Clinton answer these questions: 1) What should I have at my stall for an expo? 2) How do I prepare to be on a live radio show? And 3) What are the pros and cons of using a mobile bank terminal, the square app or Pay Pal for processing therapy client payments? 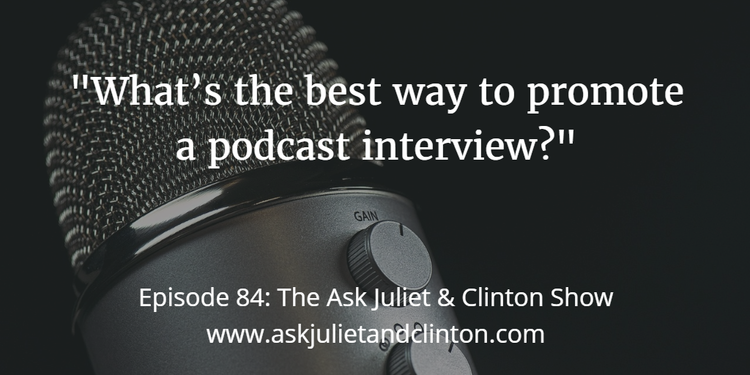 In this episode, Juliet and Clinton provide answers to the following questions: 1) What’s the best way to promote a podcast interview? 2) How can I get more registrations for my upcoming workshop? And 3) What can I do to reduce the fluctuations in my wellness business? Episode 074: How do colors affect the actions your website visitors take? 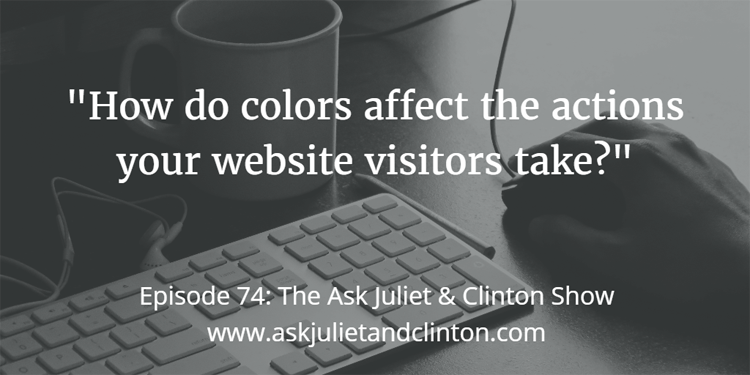 In this episode, Juliet and Clinton answer questions on how colors affect the actions your website visitors take, how to network with professionals in the same field and how to market counseling services as a package. 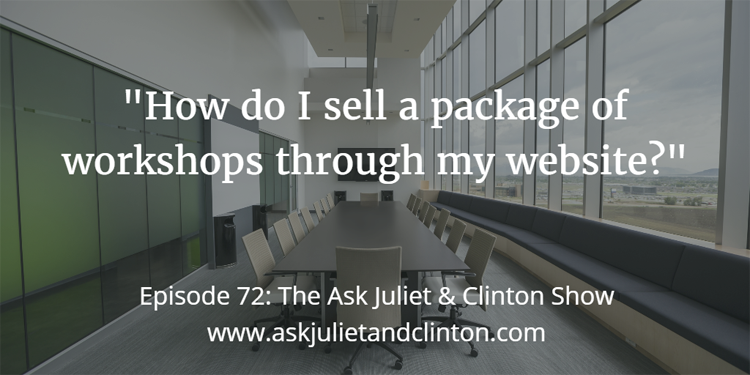 Episode 072: How do I sell a package of workshops through my website? In this episode, Juliet and Clinton answer questions about how to sell a package of workshops through your web, how do you find your target audience for teaching Qigong and how you can get more attention and exposure in the media. 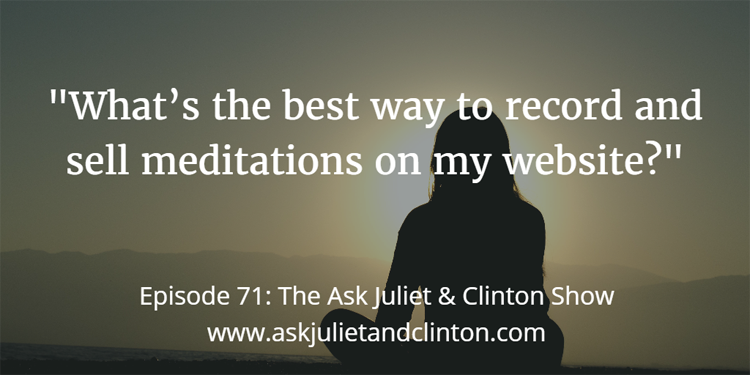 In this episode, Juliet and Clinton answer questions about the best way to sell meditations on a website, how to choose the best keywords for your website, and how to manage client inquiries when you have a full practice. Episode 070: How do I stay focused on building my business when there are so many distractions? 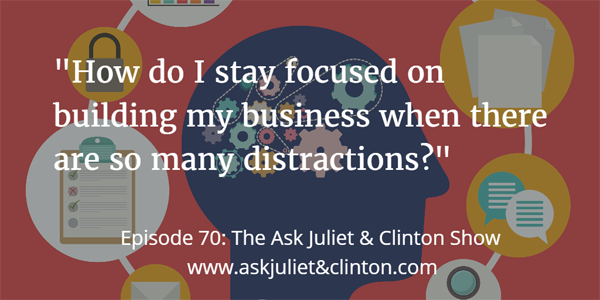 In episode 70 Juliet & Clinton answered questions about how to stay focused when there are many distractions online, the best systems for managing your business finances, and whether you should offer an online course a second time after it failed the first time. Episode 062: Do I need additional back-ups of my website? 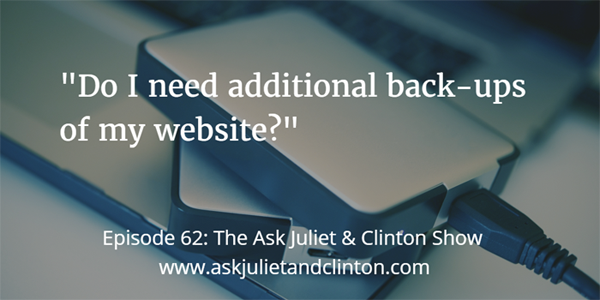 In episode 62, Juliet and Clinton answer questions about whether one needs additional back-ups of a website other than the back-ups a web host does, the steps involved in starting a therapy practice in a new city, and if it’s possible to make money selling audios on a website.